Media Business Insight. Screen Awards 2018 hosted at The Ballroom, Southbank, London. 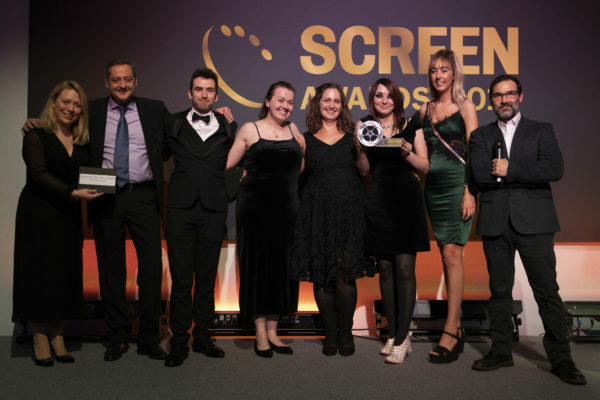 Local cinema, ODEON Luxe Edinburgh West has been named Cinema of the Year at the 2018 Screen Awards in the company-wide 25 screens or over category – recognising the very best in the UK film industry. 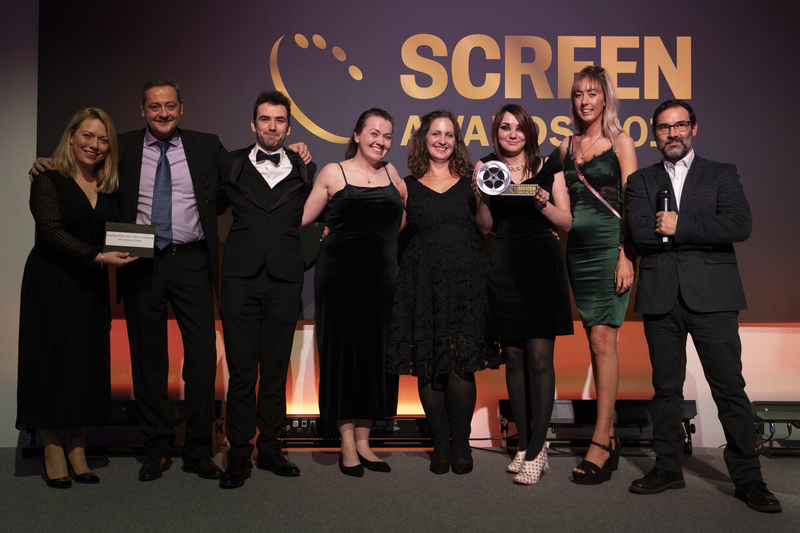 The Screen Awards (from film industry trade magazine Screen International) recognises the very best in UK film distribution, exhibition, marketing, publicity and brand partnerships – with ODEON Luxe Edinburgh West beating a number of competitors to the accolade. ODEON – Europe’s largest cinema group – re-opened the cinema formerly known as ODEON Wester Hailes, as a brand-new ODEON Luxe cinema in November 2017 – making it the second ODEON Luxe cinema in the UK, home to a cutting-edge, fully-reclining iSense screen. Its extraordinary turnaround stretches far beyond its ODEON Luxe makeover – a great success in its own right. This is a story of pioneering spirit, customer engagement, and the passion of a team dedicated to revitalising their cinema and contributing to the regeneration of their community. Our guests are loving the results – and we’re thrilled to win this national award. First opened as an ABC Cinema in 1997, the site rebranded to ODEON Wester Hailes in 2000, but by early 2017 was a loss making cinema – potentially on the brink of closure – operating on a shoe-string budget with a team of just eight colleagues opening the cinema between 2pm and 8pm. Since its transformation into an ODEON Luxe cinema, the site’s team has increased by 500% to 40 colleagues – and the cinema’s opening hours have been extended to a full day and night, with 31 additional screenings a week – and more than 100 screenings having sold out since the site was reopened as a Luxe. Overall, attendance is up more than 50%, despite a 62% reduction in seating capacity, with families, senior citizens and young adult guest segments all increasing – with ODEON also introducing its special screenings for different audiences such as ODEON Kids, ODEON Newbies and more. Guest feedback is also incredibly positive, and in the Scottish market, Edinburgh West rose from number 25 to number 16. We all set a very high expectation for ourselves and continuously challenge each other to be the best we can be. We encourage our staff to be themselves, to showcase their personality and for individuals to shine through, to ensure every experience for our guests is unique and genuine to them. What this means is a memorable visit every time, something that is special and makes them feel welcome and at home with us. ODEON Luxe Edinburgh West features 800 handmade reclining seats across eight upgraded screens, with triple the legroom and increased personal space for guests, as well as individual, retractable tray tables and a host of new food and drink options to ensure the ultimate cinema experience. The cinema’s technology includes a cutting-edge 178-seat iSense screen delivering a truly immersive, ultra-high-definition cinema experience, with 4K projection and Dolby ATMOS sound. Film fans can enjoy breathtaking sound delivered by 160 brand new speakers across all auditoriums, with all standard screens now packing Dolby 7.1 Surround Sound and improved picture quality through enlarged screens throughout the cinema. A new in-screen lighting system will also help minimise distractions between guests, and any guests who are hard of hearing can also take advantage of a new Dolby Fidelio Audio Description system and Hearing-Impaired loops across all screens. Guests of the cinema can also choose from an extensive new range of food options, including freshly-popped popcorn, hot dogs and nachos, as well as drink options including a Coca Cola Freestyle with over 100 different flavour combinations to enjoy. 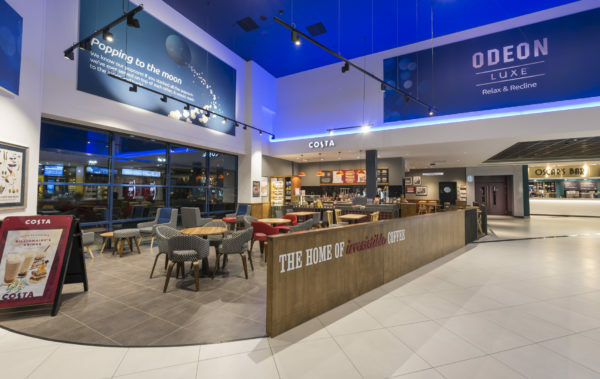 ODEON Luxe Edinburgh West also features an all-new Oscar’s Bar, which offers guests freshly-cooked pizza and a selection of alcoholic and non-alcoholic beverages. In addition to the range of retail options, guests can also enjoy a range of promotions and discounted screenings including ODEON Kids, ODEON Newbies & ODEON Screen Unseen – as well as being able to take advantage of ODEON’s Limitless cards and ODEON Première Club loyalty scheme. For more information on available offers and to book tickets for upcoming screenings, guests can visit the ODEON website.